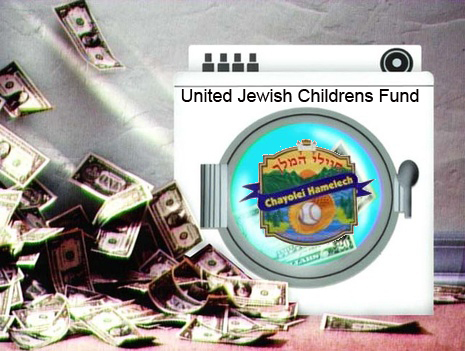 Before this years camp session begone, the web-site jewishcommunitywatch.com added a camp section. The sites webmasters reached out to camps asking them what policies they put in place to prevent abuse in camp. Some camps complied, other haven’t. What struck me must out of all responses was the camp Chayolei Hamelech response. 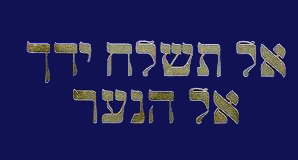 Most camps that responded, did so with two three lines, but camp Chayolei Hamelech responded with nine lines. Chayolei Hamelech has implemented a comprehensive sexual abuse policy which is read and signed by all personnel. Background checks are performed on all staff members. Each staff member is required to take a training program which includes in-person training with experienced therapists, informational videos, and online courses. All of which are monitored by the camp’s administration. Each bunk has at least two counselors assigned to it and never are staff members (aside from medical staff) allowed to be alone with a camper. In addition, campers are encouraged to notify the administration if they encounter any situation that makes them feel unsafe. Chayolei Hamelch’s sexual abuse policy is linked here. Why such a long response? Why so much “prevention”*? Becuase, so much sexual abuse has and still is taking place at this camp. Who are the staff this year in camp Chayolei Hamelech? Reviewing photos from camp Chayolei Hamelech you will notice that must of the staff are Israeli Bochrim (from 770). It would be interesting to know what “background checks” they did on their staff. It would also be interesting to know how these Israeli Bochrim did with “the training programs, informational videos, and on-line courses”? Personally, as a father who has a son in day-camp, I ask my son almost every-single day if someone touched him in forbidden places, I then go over with him all the rules. Imagine having your kids miles away with total and complete strangers 24/7. Summer 0f 1996, 12 [full] buses pulled out of Crown Heights heading towards Machne Menachem. 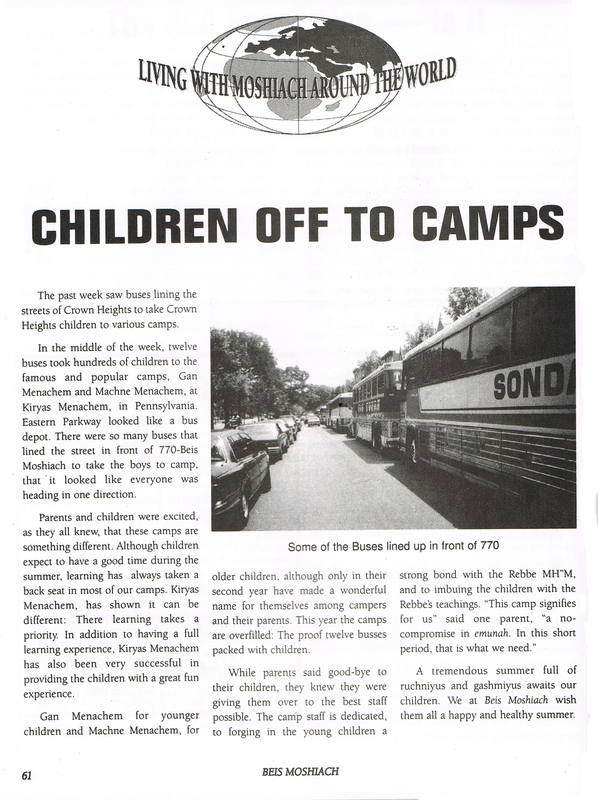 That year the Machne Menachem which was located at, 445 Mast Hope Plank Road, Lackawaxen, PA, 18435 hosted 500 campers and 200 staff. The streets of Crown Heights were literately desolate of Children. I myself was on one of these buses and remember how the line of buses stretched almost two blocks. Starting from Eastern Pkwy and Kingston Ave., down to Eastern Pkwy and Brooklyn. It was quite a sight to see. As soon as I get a copy with more details it will be posted here. UPDATE: Beth Din wrote the Siruv. Spritzer promised he would come sign the shtar berurin (binding arbitration agreement). The Machane Menachem directors have already signed a shtar and Spritzer has yet to do so. IN RE: MACHNE MENACHEM, INC., Debtor, v. YAAKOV SPRITZER, Appellant. Submitted Under Third Circuit LAR 34.1(a) November 16, 2011. Before: FUENTES, CHAGARES, Circuit Judges, and RESTANI,* Judge. 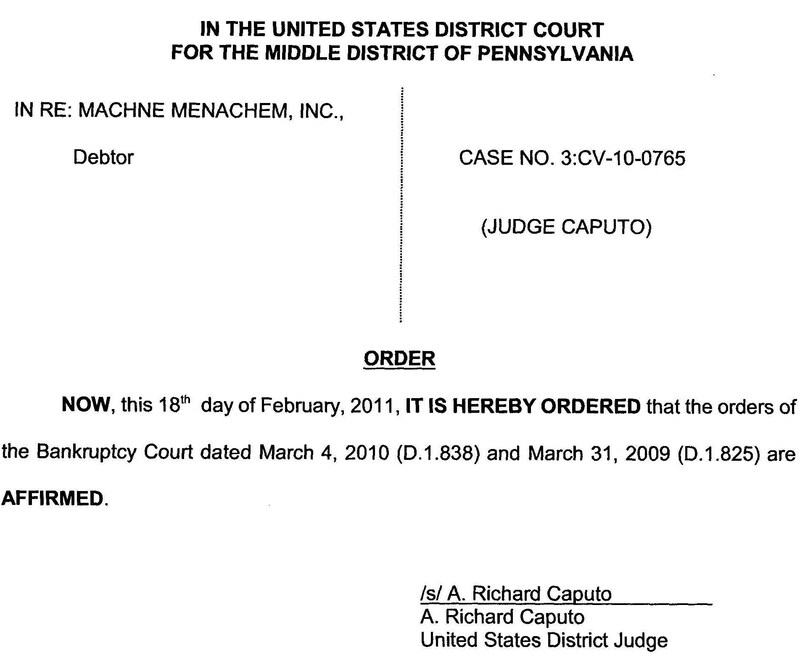 MEMORANDUM AND ORDER: IT IS HEREBY ORDERED that the orders of the Bankruptcy Court dated March 4, 2010 (D.1.838) and March 31, 2009 (D.1.825) are AFFIRMED. Signed by Honorable A. Richard Caputo on 2/18/11. Yaakov Spritzer must return $1.3 million that he stole from Machne Menachem. 1. Yaakov Spritzer illegal activities throughout all these years. 2. Paying for all the damage he caused good families, by dragging them to Federal Court and bringing a Blood Libel (RICO) against them. Yaakov Spritzer: This case is not about a Camp (Coming Up… WIS will have a post dedicated in explaining what the case was really about…). How Did Spritzer Get Hold Of The Camp Grounds? Din Torah: Past, Present and Future. It’s been over three years since Yaakov Spritzer was called for a Din Torah and still has not shown any sign of cooperation. Din Torah Update.